A partnership scheme to improve the New Forest’s unique landscape and bolster the ancient commoning way of life celebrates a landmark first year. 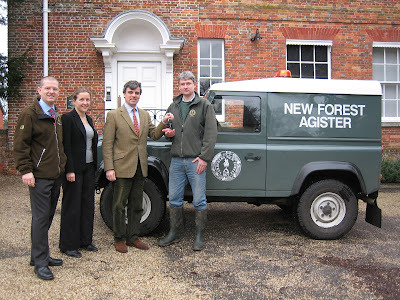 The Higher Level Stewardship Scheme (HLS) – worth £16m of European money over 10 years – is managed by a partnership of the Verderers, the Forestry Commission and the New Forest National Park Authority. landrovers to the Head Agister Jonathan Gerrelli.